If you have coeliac disease or a sensitivity to gluten, it’s not just food and drinks you need to be careful with – it’s makeup, too. From foundation and primer to eyeshadow and lip gloss, a lot of makeup contains gluten. And since makeup ingredients mostly consist of complex chemical names, it can be tough to tell the difference between gluten free makeup and non-gluten free makeup. 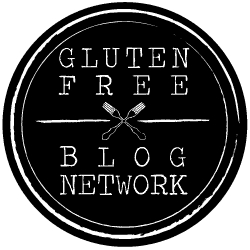 Why do I need gluten free cosmetics? The easiest way gluten gets into your system through makeup is by using lip products (such as lipstick, lip stain, lip gloss, lip liner, etc.) which contain gluten. You apply the product to your lips in the morning and throughout the rest of the day, you ingest small amounts of it pretty much constantly. And it’s not only through lipstick you to accidentally consume gluten. It’s almost impossible to put anything on your face without ingesting a small amount. Picture yourself putting on your moisturiser or foundation. Can you be 100% certain you didn’t get even a tiny bit on your lips? We’re betting the answer’s ‘no’. The risk of consuming gluten through your makeup doesn’t stop after you’ve applied it. If you touch any part of your face while wearing makeup and then eat something shortly after with your hands (without washing them in between) that’s another sure-fire way you’re consuming gluten without meaning to. You might think to ingest such small amounts of gluten through makeup wouldn’t have any effect, but think about gluten cross-contamination in food. If gluten free food products are so much as made in the same factory as non-gluten free products, they can cause terrible reactions in people who are particularly sensitive to gluten. The same goes for makeup. Even if the product is entirely gluten free, it can still cause you problems if it’s made in the same factory as makeup which contains gluten. While not all makeup contains gluten or is made in factories with products which contain gluten, the majority of makeup is not gluten free. Most items contain hydrolysed wheat protein which, even though it’s processed, still contains gluten. If you’re following a strictly gluten free diet, it’s really not worth the risk of using makeup that isn’t certified as gluten free. But don’t worry: the alternative isn’t to go the rest of your life without cosmetics. (Although you might have to ditch your favourite brands if they contain gluten.) The alternative is to find some gluten free cosmetics and gluten free toiletries brands you love and treat yourself to a whole new set of products! If you’re highly sensitive to gluten, the answer is a resounding yes – you do need gluten free makeup. Check out the gluten free cosmetics companies listed above and try out some of their products. Not only will you have the fun of playing around with new makeup, but you’ll also be able to relax, knowing that there’s no way your makeup is negatively affecting your health.